There are some motorcycles which we have been eagerly waiting to be launched in India ever since they debuted in the International market. The Honda CRF 1000L Africa Twin is one of those motorcycles. Honda will be getting the bike in India through the CKD route to keep the costs in check. Being locally assembled rather than brought in as completely built-up units (CBU) will help Honda price the motorcycle Rs 1 lakh cheaper. Honda might probably price the motorcycle around Rs 13 lakh. As stated by the Honda officials, the company has already commenced the trial assembly of the motorcycle at their Manesar plant in Gurgaon. The Africa Twin gained fame as a go-anywhere adventure touring motorcycle and the company launched a completely new motorcycle in 2015. The 2015 Africa twin is powered by a 998cc engine which produces 95PS @ 7500rpm and a peak torque of 98Nm @ 6000rpm. 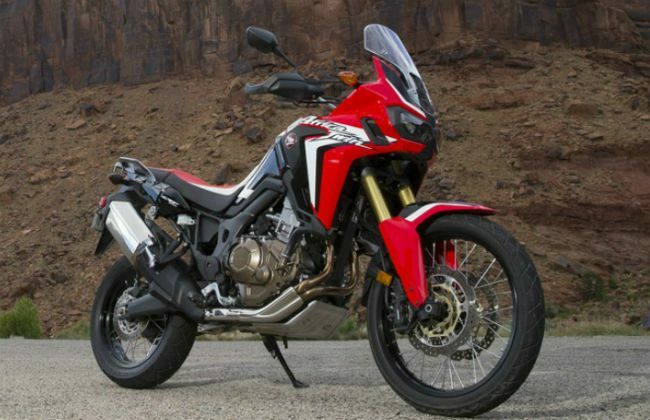 The Africa Twin is offered with two transmission options in the international market - a six-speed manual and a six-speed Dual Clutch automatic (DCT). The bikemaker will bring the Dual-Clutch Transmission (DCT) gearbox in India and once launched, it will be the only motorcycle to be offered with a DCT gearbox in the country. Honda has finalized to bring the DCT in India on the basis of a survey they carried out in our market. Scooters have always been Honda’s forte and, excluding the Navi, the bikemaker currently sells 5 scooters in the country – Activa 4G, Activa 125, Activa I, Dio and Avaitor. The company plans to expand the network to 7 scooters, which might include a more powerful Dio, probably the Dio 125, and a completely new product developed on the Navi platform. Tracing lines back to the 2016 Auto Expo, Honda had also displayed the Navi concept along with the Navi which is currently on sale in the market. The Dio is primarily targeted towards younger audiences and we would love it to be offered with a bigger and more powerful 125cc, alloy wheels, disc brakes, telescopic front forks and loaded with all the bells and whistles like charging sockets, external fuel-filler cap and digital speedometer console. The Navi concept looks striking from all other conventional products offered in the country currently. Honda also aims at bringing in a fun motorcycle in the 150-200cc category. It will mostly be a faired version of the Hornet 160 to be launched to rival the Gixxer SF. The Gixxer SF currently has no rivals in its category and Honda aims at breaking the monotony. Watch out this space for more updates on the upcoming Hondas.